Does Your Business Need A Marketing Re-Design? Redesigning your marketing materials, website or logo is essentially a brand redesign, and shouldn’t be taken lightly. After all, you have no doubt worked hard to build brand equity and a good reputation in the St. Louis community. Even small changes can send your customers into confusion. Consider the example of Coca-Cola when it decided to launch a special white holiday can. The simple change in color received massive push back among its most loyal customers. One study found that your most loyal customers are the ones that have the most difficulty accepting your brand redesign. However, there is a negative side to always staying the same. A stale, outdated logo and accompanying marketing materials can damage customer perception. 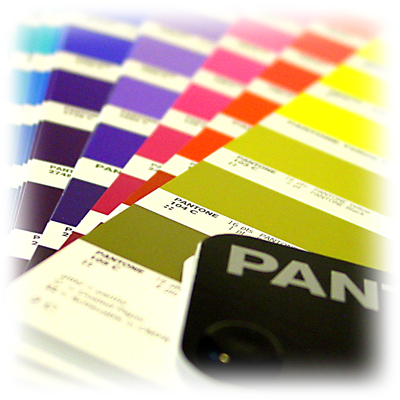 How do you know when it is time to redesign your printed materials for your St. Louis business? The biggest sign that a redesign of your brand might be warranted is that your company has changed in some way. A name change is an obvious catalyst to a brand change. Just putting your new name on your old logo will only draw questions from your customers that are paying attention. Signal a change by redesigning your brand, updating your website, and brochures and other printed materials. Make it a big deal. Host a relaunch event or re-grand opening. Make a big splash. Send a postcard announcing your event to your existing customers. Offer promotional items or discounts for the first ones through the doors. A name change isn’t the only redesign motivator. Subtle changes should be considered too. Has the structure of your business or the way you service customers changed? For example, Panera redesigned its logo a couple of years ago when it remodeled restaurants and started having servers clear tables instead of customers taking their own trash. While not redesigning their logo again, they are redesigning restaurants again this year, taking a more tech-centric approach. Restaurants will start to incorporate digital-ordering kiosks, cutting wait times for customers. Both shifts changed the way the company interacts with customers and warranted a redesign of some type. to be redefined. They needed to catch the attention of their potential clients. A second catalyst to a brand makeover is that your audience has changed. Are you targeting millennials and their $200 in annual buying power? Are you looking to attract baby boomers, still the largest consumer group in America or maybe a demographic in between? If your target audience has shifted or expanded since you first opened, considering a redesign is appropriate. How do you identify your target audience? The first step is to identify the need your product fills. Consider this scenario from Forbes. You have two clothing retailers, one that sells $15 shirts and one that sells $500 coats. Research tells us that 50 percent of millennial women shop for clothes more than twice a month, compared to only 36 percent of older women. Similarly, millennial men spend twice as much on clothing as their older counterparts. However, just because they shop more doesn’t mean the retailer selling $500 coats is going to attract a young college graduate just starting his or her first job. A $15 shirt can be purchased multiple times a year, appealing to your audience that wants variety and low-cost. A $500 coat is likely a once a decade purchase, appealing to people who shop less, and who have more financial stability. Both groups can be reached through a direct mail campaign. However, your audience will determine your messaging and design. Launch your new brand with an attractive plastic mailer. Include a QR code, barcode or detachable customer card for special discounts. 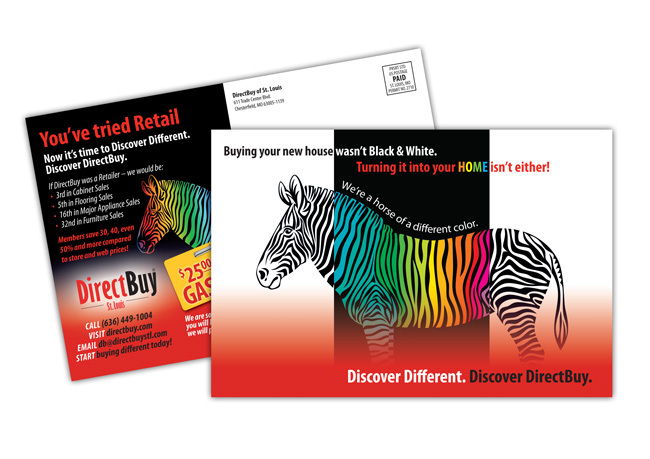 Customize your mailer to appeal to different demographics, customizing each variety. When customers use the detachable card, you’ll get an idea of which demographic responded the best. A brand redesign must have a strategy behind it. Redesigning strictly because you want an updated look is probably not a reason to move forward. What is your overall motivator in pushing for a redesign? Is there new competition in your area? Do you want to expand into new markets? Are you trying to raise more awareness in the community? Do you need to raise prices? A redesign may help change perception of your product and soften the blow of the increase. Keep in mind that a redesign doesn’t always have to include a new logo. A graphic designer can give you a sharp new image and incorporate your existing logo, giving you the benefits of an updated look without losing your brand equity. A great example of this approach is Old Spice. The traditional cologne maker needed to attract a younger audience. Without changing its logo, the company marketed new products, new packaging and a new ad campaign featuring a young, manly NFL player. As a result, sales increased by more than 100 percent in just one year. Your brand is the lifeblood of your business, and your materials are the vessels that get it out to your customers. Treat each as a precious asset.